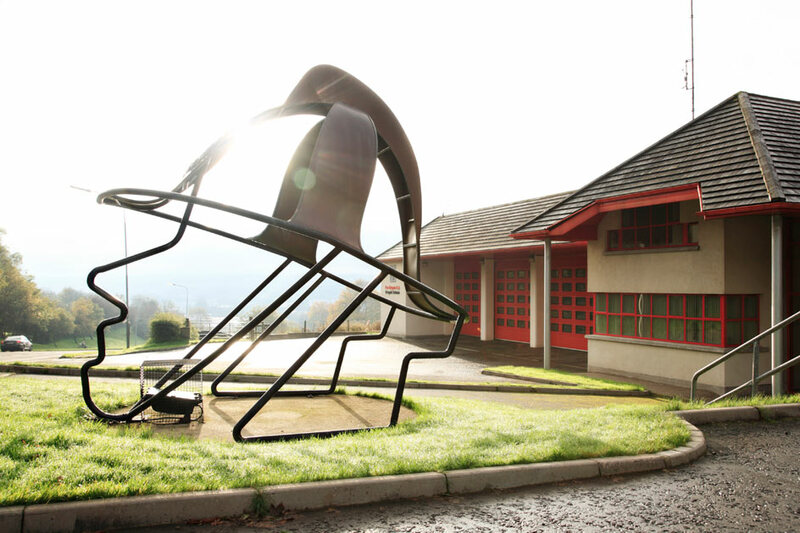 Commissioned utilising Per Cent for Art funds arising from the construction of Letterkenny Fire Station. The sculpture is a Fireman’s Head with Helmet. 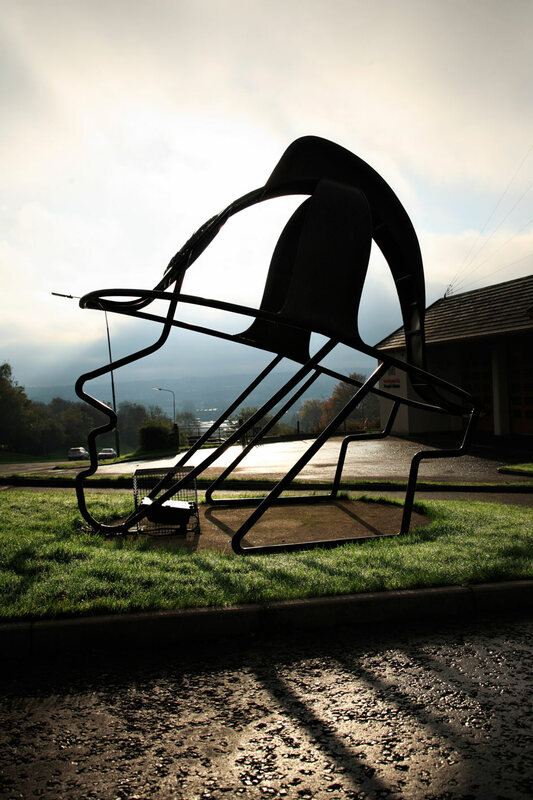 This TravArt commission was co-ordinated by tutor Harry Rice and the fireman’s helmet sculpture was designed and constructed by Pat, John and Eanis McGinley with help from Alex & John Mc Ginley, Micky Boyle and muscle provided by young TravArt. In the late 90’s the Donegal Travellers Project initiated a training course in practical and creative metal work for traveller men and as a direct result of the enthusiasm for and success of this, TravArt emerged and is the company responsible for the delivery of other notable commissions in Donegal such as The Lobster Pot at Burtonport, The Kickin’ Donkey in Bundoran, the Blue Marlin at The Glebe and The Copper Fish for Donegal County Council. The life experiences of TravArt have informed their choice of materials, their concepts and their execution of these concepts. 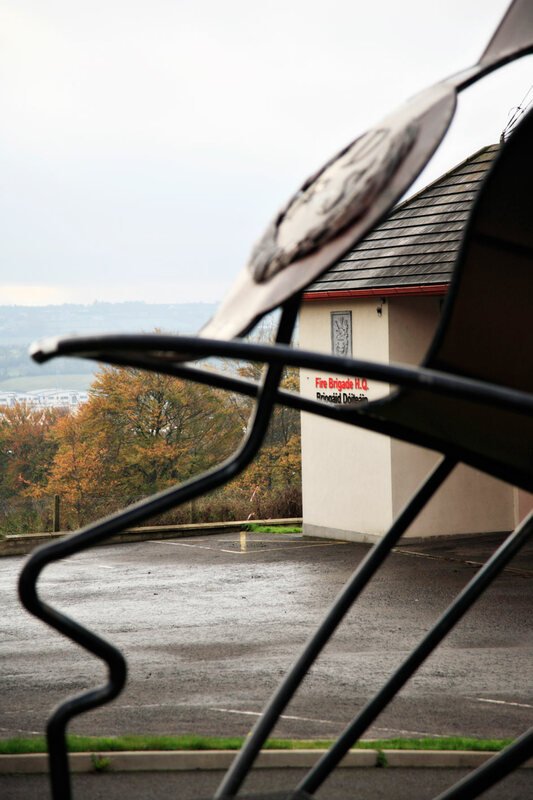 Traditionally travellers have been involved in scrap collection and their knowledge of recyclable materials has influenced the direction of their work.